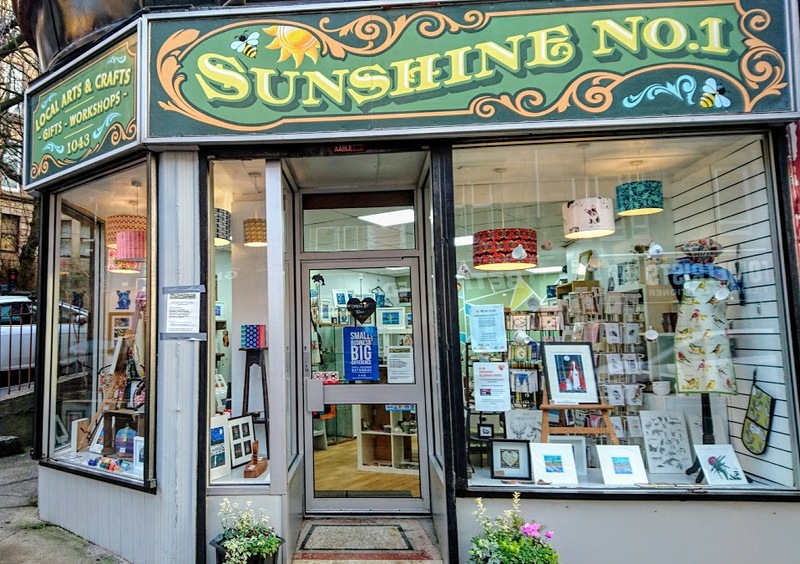 This week we meet Suzi Nicol the owner of Sunshine No.1, a lovely art and gift shop located in Mount Florida, to find out about her business and why she chose that location. Can you tell us a little bit about Sunshine No.1, what we can find in the store, when did you open, how do you choose the new items? 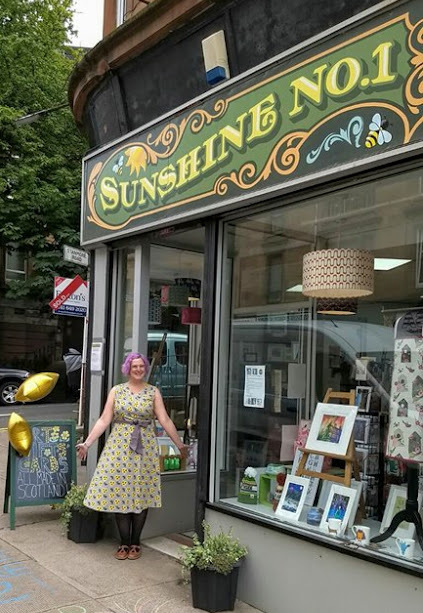 Sunshine No.1 is an independent art and gift shop in Glasgow where everything has been created in Scotland. We opened in August 2015 to showcase the amazing creative talent across Scotland and provide a real alternative to the big, corporate shops and support other small businesses as much as possible. We have an extensive range of products from original art and prints to jewellery, pottery, soaps and candles and much more lovely stuff, all created by artists and makers based in Scotland. We source all our suppliers from the creative communities across Scotland. The wonderful thing about having local makers is that we have unique gifts that you won’t find anywhere else. Why did you choose Mount Florida as the perfect location? What does the area offer that made it so perfect for your business? Mount Florida was appealing as the location to open Sunshine No.1 as it’s a vibrant area with a real creative feel to it and a mix of young professionals, families and age groups. Also, I wanted to be in an area that was easily accessible and Cathcart Road, the main street in Mount Florida where Sunshine No.1 is based, has a lot of passing traffic as it’s one of the main routes into Glasgow. It’s also very accessible by public transport, both trains and buses. 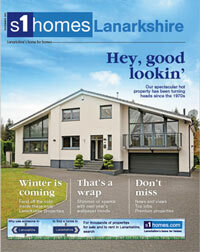 It is also the home of Hampden Park, Scotland’s National Stadium so there are lots of visitors to the area. Tell us more about Mount Florida. Does it have a close community? Mount Florida has a brilliant community – I didn’t know how great it was until I started to get the shop ready and so many people called by to welcome me. Everyone has been so friendly and welcoming and I can never open the shutters without someone stopping to chat. The local community council, known as Mo Flo Co Co (Mount Florida Community Council) is also really supportive and works hard to keep it a thriving, clean and safe area. What are your favourite places in Mount Florida? Mala Carne – a vegetarian cafe which was opened around 6 months ago by Claire who also lives in Mount Florida. Their vegan cinnamon buns are incredible, and their breakfasts and lunches are delicious too! Fresh n Fruity – a local greengrocer and deli which stocks great fresh fruit and veg (I love that you can buy potatoes from the sack as well as individual pieces of fruit) and interesting wholefoods. They have been in Mount Florida for many years and have a wealth of knowledge about their products. Sapori D’Italia – a great, family run Italian restaurant. 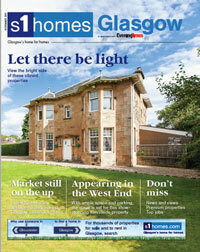 And of course Hampden Park – it’s great to have our national stadium right on the doorstep! You can visit the football museum and also take part in the Hampden Experience, a tour of the stadium, strike a ball and hear the famous ‘Hampden Roar’. I’m very lucky as my customers are a mix of local people and those that travel further to visit us as a destination place. We have a lot of customers who come to visit through recommendations which is great as it means we’re offering something appealing! Which products are your Xmas best sellers? 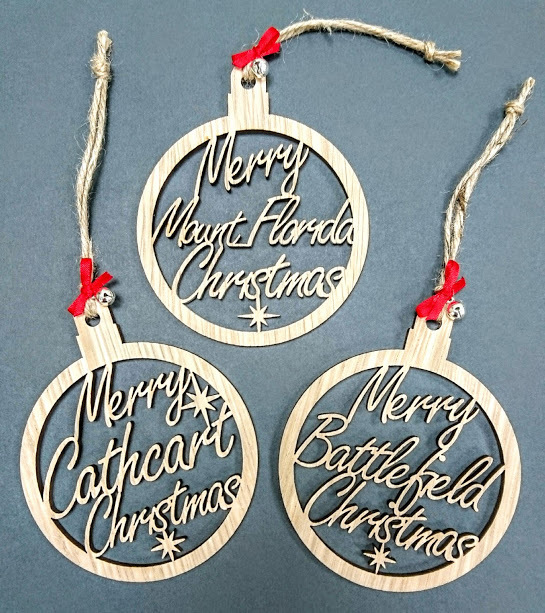 So far our best sellers are wooden baubles with the local areas on, such as ‘Merry Mount Florida Christmas’, ‘Merry Southside Christmas’ and ‘Merry Glasgow Christmas’ as well as small, framed pieces of art, locally made silver jewellery and G&T body cream! 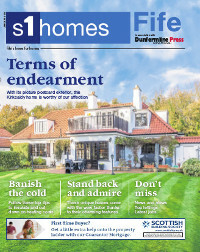 If you’re thinking about a move to Mount Florida and become part of the great community living there, check out the properties available for sale and rent at s1homes. 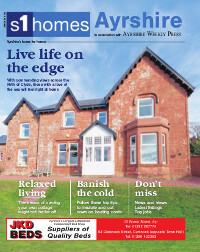 Are you living near Mount Florida or are you considering a visit? Remember to pop by Sunshine No.1, to find the perfect Christmas gift. This entry was posted on Tuesday, November 28th, 2017 at 11:18 am and is filed under Where to live in Scotland?. You can follow any responses to this entry through the RSS 2.0 feed. You can leave a response, or trackback from your own site.